You do all the skincare rituals experts recommend from moisturizing to cleansing, so why aren’t you seeing the results? The truth is, some of your persistent habits can actually be harming your skin. Here are seven bad skincare habits you should break as soon as possible to get the clearest and healthiest skin you’ve ever had. It’s always easy to put off cleaning your makeup brushes and sponges, but a dirty brush or sponge can really harm your skin. Besides accumulating old makeup, used brushes and sponges can carry dirt and dust, face oil, and whatever you may spray in your bathroom. Sponges have the additional problem of mold or even bugs. Dirty beauty tools can cause skin irritations, acne, and sometimes serious infections. Plus, they’re less effective and can streak your makeup. There are numerous methods you can use to clean your supplies from brush cleansing balm to dish soap and canola oil. Just set aside one day every week to clean your brushes and sponges and see your skin, and makeup, improve. Just because you scrub your skin rigorously doesn’t mean you’re cleansing it effectively. While it may feel nice, it can, according to Garnier, disrupt your skin’s barrier function and cause your face to overproduce oil, making it just as bad as under-cleansing. You should also be wary of harsh scrubs. Here’s a basic rule to remember: If your skin stings or is inflamed after using your cleanser, you’re damaging your skin more than you’re helping it. There are so many products that promise they’ll make your skin soft, clear, healthy, etc. It can be hard to choose between the dozens of options, and you may start to think that using more products is better. However, when using a bunch of different products, the best-case scenario is that the active ingredients cancel each other out. The worst-case scenario? Doubling up on products could cause irritation or even skin damage. To keep your skin healthy, make sure to read the ingredients lists and get samples before purchasing a product to see how it works with everything else you use. We all have those favorite skincare products that we use religiously, but do you sometimes wonder if they’re really working? Here’s the thing – your skin changes as you age, in addition to being affected by other factors like climate and stress. If you feel like that “holy grail” product isn’t working anymore, it’s probably because your skin, or your location, has changed. Instead of hoping something your skin will come around, try exploring some new products. You never know what you might find, and your skin will thank you for it. This is a bad habit we all know about, yet continue to do time after time. While it may be easy to just fall asleep and worry about the consequences later, there are many health risks associated with sleeping with makeup. In addition to the acne, chapped lips, and weaker eyelashes it causes, it can also lead to more severe risks. One such case was published in by the American Academy of Ophthalmology in May of 2018 when a 50-year-old woman had to have surgery due to sleeping with mascara on. Try putting some makeup remover wipes right next to your bed so that on those days when you just need to hit the sheets, you can still do a quick wipe of your face and avoid facing any of these risks. 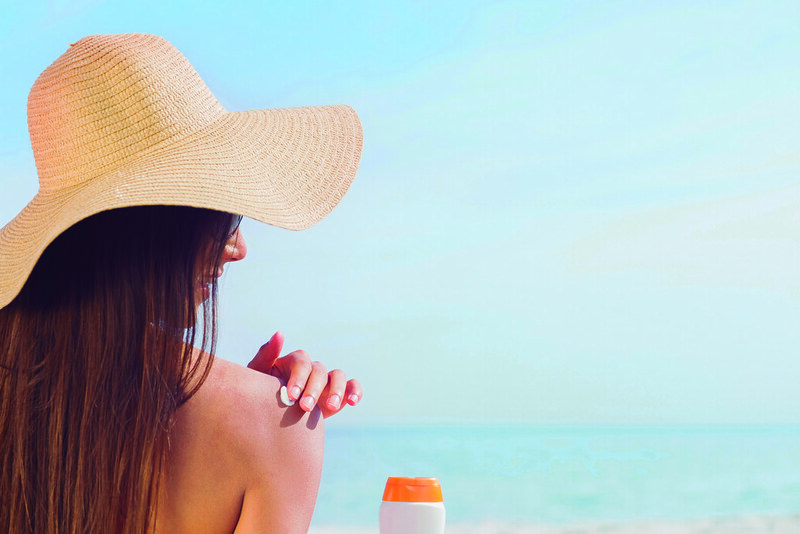 While we all know sunscreen is important for protecting against sunburns and skin cancer, sunscreen can also protect against photoaging. According to an Australian study in 2013, SPF can stave off the wrinkles, spots, and loss of elasticity caused by exposure to the sun’s ultraviolet radiation. Anytime you are out in the sun, you should make sure to wear makeup with SPF or classic sunscreen to protect against these harmful UVA/UVB rays. And remember, just because you have darker skin or tan easily does not mean you are protected. Start using that sunscreen now so you’ll have beautiful, clear skin in 40 years. While your face is important, you should not forget the rest of your skin, including your neck and chest. All the things that damage your face can damage the rest of your skin, leaving wrinkles, sunspots, acne, and more. Start using serums or lotions meant for your neck and chest now to avoid serious damage later in life. As for the rest of your body, try and use some simple scrubs to get rid of dead skin and regularly use lotion to keep your skin moisturized and healthy. Your skin is your body’s largest organ, meaning it’s critical you keep it healthy. By learning to avoid these bad habits now, you’ll be guaranteed to have clearer and more radiant skin both now and in the long run.